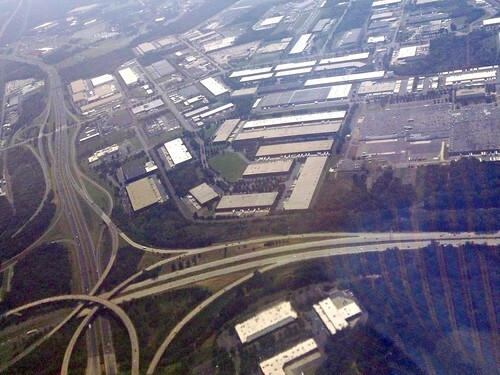 Years ago, I was motivated to participate in what became the cause of smart growth, and now for many of us has evolved into the cause of sustainable communities, because of the devastating effect of suburban sprawl on the American landscape. For decades, the amount of developed land in our country has grown much faster than population, in some regions of the country several times faster. In the 25-year period from 1982 to 2007, we lost some 23 million acres of agricultural land - an area the size of Indiana - irretrievably to pavement, malls, and subdivisions, according to the American Farmland Trust. Yet today, if you attend a meeting of smart growth and environmental advocates, or attend one of the major conferences on smart planning, you will hear relatively little about the loss of the landscape. Much of the conversation within the environmental community is now about rates of driving and associated emissions, particularly carbon – a critically important subject, to be sure – or perhaps urban ecosystems. But it's a mistake, in my opinion, to neglect the effect of poorly planned development on land -- not only because of its importance to a number of significant environmental issues, but also because the landscape is part of our heritage, our shared culture. It is also the most visible consequence of sprawl, the one that people who are not professional environmentalists or urban wonks are most likely to notice and care about. At its best, smart growth addresses the issue via a tradeoff: the more development we encourage within our existing communities, the less goes across the countryside. Both sides are important: those who want to preserve the landscape must accept development in cities and towns; and those who want to strengthen cities will serve their cause by endorsing conservation outside them. "Despite the lingering effects of the Great Recession and big cuts to government funding, U.S. voters continue to support public funds for land conservation. The most recent evidence of this is found in Travis County, Texas, where on November 8 voters approved $82.1 million to buy land for parks and open space. The most expensive project supported by the voters would set aside $22.2 million to buy nearly 800 acres for recreational use along the Pedernales River in the Texas Hill Country. "It may come as a surprise to some, but the outcome of the Travis County vote was hardly unusual. Since the start of the recession in 2008, voters have approved 171 public finance measures for parks and green space totaling more than $15 billion. Public support for green space has remained remarkably popular in both good times and bad. Since 1988, when the Trust for Public Land started to track conservation ballot box measures, voters have approved 1,756 referendums totaling over $126 billon." 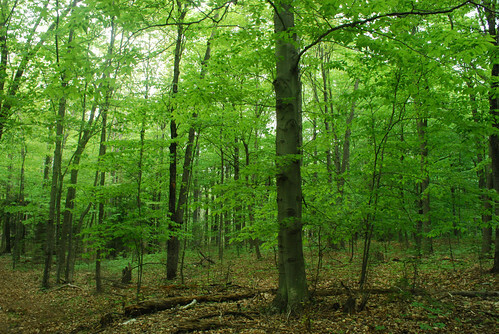 McMahon's article further reports that 10 million acres of urban parks, family farms, forests, and natural areas have been voluntarily conserved by individuals and nongovernmental entities since 2005. The total amount of land saved through purchase, easement, or other measures increased from about 37 million acres in 2005 to 47 million in 2010. Apparently, it has helped that the development value of land has declined so sharply in recent years, making conservation a more attractive option and allowing the protection of more acres per dollar. A federal tax incentive that took effect in 2006 has been another influence. A third factor has been a rising financial market in ecosystem services related to land preservation, such as carbon sequestration and wetland, stream, and habitat mitigation banking required in compensation for the impacts of certain construction and development projects. This is explained in the article, which you can read here. These numbers are impressive, and we can be glad for them. But what matters just as much – and I am sure that McMahon would not disagree – is which acres are saved. In particular, the environment is far better served by the consolidation of connected tracts of land important to ecosystems, farming, forestry and the retention of our cultural landscape than it is by random parcels here and there. The environment is especially well served by conservation when environmentally important areas are in the path of suburban sprawl. In some cases, conservation of the wrong acres can actually be harmful to the environment. I am not impressed, for instance, with the environmental impacts of some low-density "conservation subdivisions" (example discussed here) whose benefits accrue mostly to their wealthy residents. Contrary to helping the environment, the effect can be to force the next increment of new homes and shops to locate farther out on the periphery of a region, expanding the region's overall footprint and lengthening driving routes. That's probably a subject worthy of its own article, but I raise it here to make the point that not all conservation is equally beneficial. 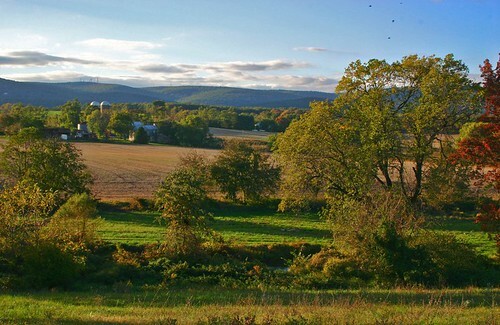 Fortunately, some private organizations and governments know this well, as in the case of Montgomery County, Maryland's pioneering Agricultural Reserve, which created a private market in transferable development rights, encouraging conservation within certain designated areas while promoting development in other key areas. That's the kind of approach we need more of. Let's keep conserving, but let's also be increasingly strategic about it.